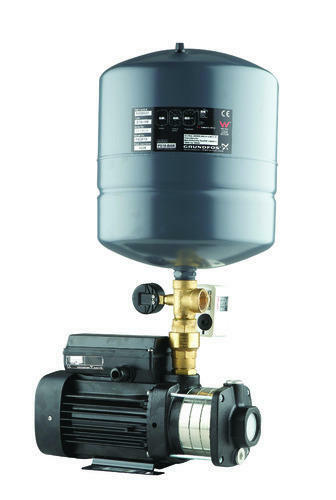 We are engaged in offering our clients a high quality range of Grundfos Pressure Pump. The offered pump is designed and manufactured as per the set industry norms using quality tested components and advanced technology. Keeping in mind the varied requirements of our clients, we offer the entire range of pump in different technical specifications. In order to make sure the quality of this pump, our vendors’ deft professionals perform a series of test against different parameters. Established in the year 2013, in Ahmadabad (Gujarat, India), we "Smart Water Solution", are a Partnership Entity, engaged in Trading and Supplying of Water Softener System, Rainwater Harvesting System, RO System, Solar Water Heater, Swimming Pool Filtration Plant, Water Level Sensor, etc. Our complete product array is manufactured using high quality components and advanced technology under the supervision of experienced professionals at our vendors end. The vendors associated with us are selected on the basis of their company profile, track records, goodwill in the market, financial status, etc. The offered range is highly demanded in the market for their features such as precise functioning, safe to use, excellent purity, weather resistance and long shelf life. We provide these products in different specifications as per the needs of our clients. We are also offering RO Maintenance And Erection Service. We are offering our products under reputed brands like Aqua, Surya, Kent, Grundfos, etc.